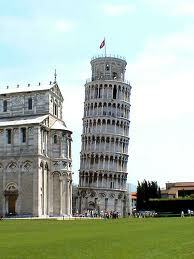 Pisa tower is an incredible place and very nice. This place is in Italy and It has many large bussineses,pizzerias and shopsouvenirs. In this beautifull place there are several important monuments like famous Piazza dei Miracoli. Declared world heritage site, and the pulpit by Giovanni Pisano.